Just look at this beautiful Pullip Doll, isn’t she adorable? She belongs to a friend that has a small collection of three Pullip dolls, a brand from Japan. I had to take some photos because I think they are just so cute! 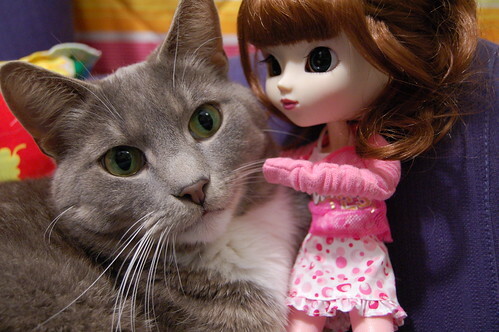 If you’re not into dolls, skip this post. I have never meet a Blythe doll nor a Pullip doll until I saw these and I am truly in love, though I promised myself not to become a collector. Yet. Though I would love to have a photo shoot with some dolls when summer comes around. Or how about bringing out my own collection of Barbie dolls and play with them and my camera for while… What fun I would have sitting outside, dressing them up. Who wants to join at my doll party this summer? These dolls are kind of made to be styled, fashioned and allowed to enter the cat walk, don’t you think? Read on for a few more of my photos and some Pullip facts that you might not know about! …that these dolls come from Japan and are influenced by urban design and Anime genres? Pullip dolls were created in 2003 by the JUN Planning company and are collected all over the world through the Internet. 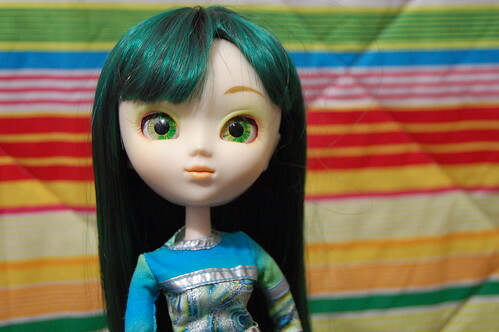 The Anime look in dolls has been big for several years and are popular with fashion doll collectors. 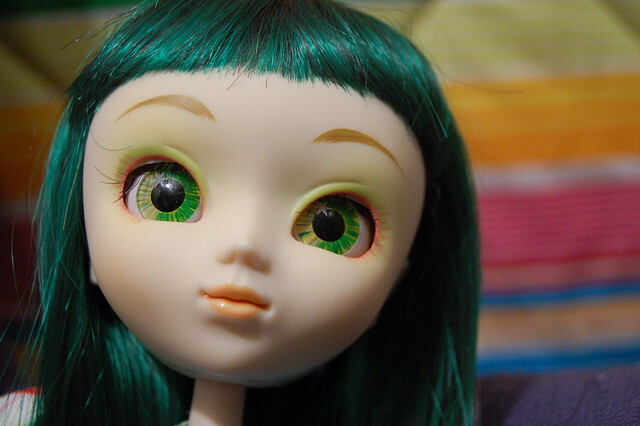 Blythe dolls are also very famous among doll collectors, but Pullip dolls are cheaper and you can change eye color, wigs and body parts on these dolls too. 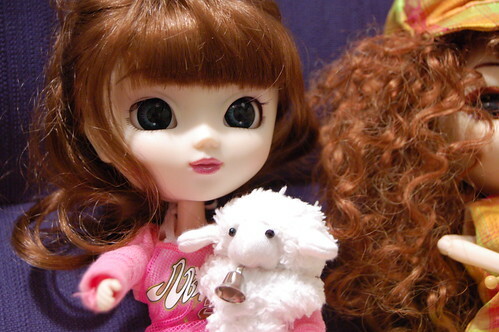 Pullip dolls are about 12 inches tall and have over-sized heads and eyes that makes them cute like puppies! Or what do you think? Their big eyes can wink at you, and their body have more than 30 points of articulation. I totally admire grown ups that collect toys and don’t feel they need to explain why. 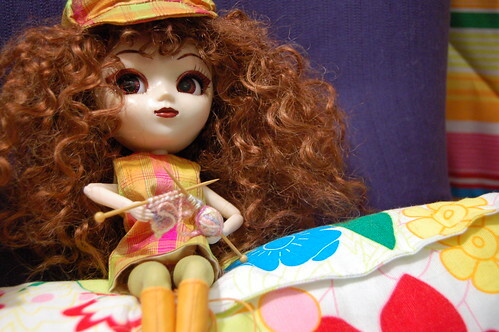 See more Pullip doll photos on Flickr. This entry was posted in Photography, Pretty things and tagged collecting, collecting dolls, cuteness, dolls, kawaii, trending. Bookmark the permalink. No, no more collecting…..no no no….oh maybe just one or two!!! I love Blythes and Pullips! I haven’t started collecting, but if I win the lottery…. These Japanese dolls are so unique and lovely. Thank you for sharing. I just discovered blythe myself, and yesterday I got the one I ordered a month ago. I was so excited! I already sewn 2 dresses for her, and one for a barby. They are really cute, I like them so much, anyway I found this website http://www.ThatsMyFace.com/f/custom_doll_head that can create a super-realistic doll heads of anyone from just a photo. Imagine making doll of yourself, your kids, your boss or your favorite celebrity! my friend Zali told me about them 6 moths ago an I am going to get one or two for Christmas. my friend also has 3 Pullip dolls that she gets second hand or broken and her aunty fixes them. there are some Pullip dolls that are quite cheap from a website culled Pullipstyle it is a really good place to get them! I also have a blog… as you will see from my posts I love art and craft too! !